1. Lund LH, Edwards LB, Kucheryavaya AY, Benden C, Christie JD, Dipchand AI et al. The registry of the International Society for Heart and Lung Transplantation: thirty-first official adult heart transplant report – 2014; focus theme: retransplantation. J. Heart Lung Transplant. 2014; 33: 996–1008. 2. Manito N, Delgado JF, Crespo-Leiro MG, Arizón JM, Segovia J, González-Vílchez F et al. Twelve-month efficacy and safety of the conversion to everolimus in maintenance heart transplant recipients. World J. Transplant. 2015 Dec. 24; 5 (4): 310–319. 3. The registry of the international society for heart and lung transplantation: thirty- second annual report – 2017. JHLT. 2017 Oct; 36 (10): 1037–1079. 4. Готье СВ. Иммуносупрессия при трансплантации солидных органов. М.: Триада, 2011: 12–17. Gautier SV. 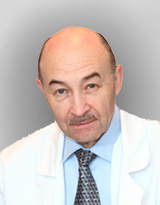 Immunosupressiya pri transplantatsii solidnykh organov. M.: Triada, 2011: 12–17. 5. Kobashigawa J.A., Pauly D., Kfoury A et al. Multicenter randomized trial of everolimus vs mycophenolate mofetil in heart transplantation: final 24 month analysis of efficacy and safety. J. Heart Lung Transplant. 2012; 31: S73–S74. 6. González-Vílchez F, Vazquez de Prada JA, Paniagua MJ, Gomez-Bueno M, Arizon JM, Almenar L et al. Use of mTOR inhibitors in chronic heart transplant recipients with renal failure: calcineurin-inhibitors conversion or minimization? Int. J. Cardiol. 2014; 171: 15– 23. 7. Myers BD, Ross J, Newton L, Luetscher J, Perlroth M. Cyclosporine-associated chronic nephropathy. N. Engl. J. Med. 1984; 311: 699–705. [PubMed] 22. Cattaneo D, Perico N, Gaspari F, Remuzzi G. Nephrotoxic aspects of cyclosporine. Transplant. Proc. 2004; 36: 234S–239S. 8. Gullestad L, Iversen M, Mortensen SA, Eiskjaer H, Riise GC, Mared L et al. Everolimus with reduced calcineurin inhibitor in thoracic transplant recipients with renal dysfunction: a multicenter, randomized trial. Transplantation. 2010; 89: 864–872. 9. Gullestad L, Mortensen SA, Eiskjær H, Riise GC, Mared L, Bjørtuft O et al. Two-year outcomes in thoracic transplant recipients after conversion to everolimus with reduced calcineurin inhibitor within a multicenter, open-label, randomized trial. Transplantation. 2010; 90: 1581–1589. 10. Hummel M. Recommendations for use of Certican (everolimus) after heart transplantation: results from a German and Austrian Consensus Conference. J. Heart Lung Transplant. 2005; 24: 196. 11. Bocchi EA, Ahualli L, Amuchastegui M et al. Recommendations for use of everolimus after heart transplantation: results from a Latin-American Consensus Meeting. Transplant. Proc. 2006; 38: 937. 12. Lehmkuhl H, Ross H, Eisen H et al. Everolimus (certican) in heart transplantation: optimizing renal function through minimizing cyclosporine exposure. Transplant. Proc. 2005; 37: 4145. 13. Fiocchi R, Frigerio M, Parisi F et al. Guidelines for everolimus introduction in stable heart transplant. Trapianti. 2006; 3: 107. 14. Kuypers DRJ, Le Meur Ya, Cantarovich M et al. The Transplantation Society (TTS) Consensus Group on TDM of MPA. Consensus Report on Therapeutic Drug Monitoring of Mycophenolic Acid in Solid Organ Transplantation. Clin. J. Am. Soc. Nephrol. 2010; 5: 341–358. 15. Mohammadpour N, Elyasi S, Vahdati N. A Review on Therapeutic Drug Monitoring of Immunosuppressant Drugs. Iranian Journal of Basic Medical Sciences. 2011; 14 (6): 485–498.